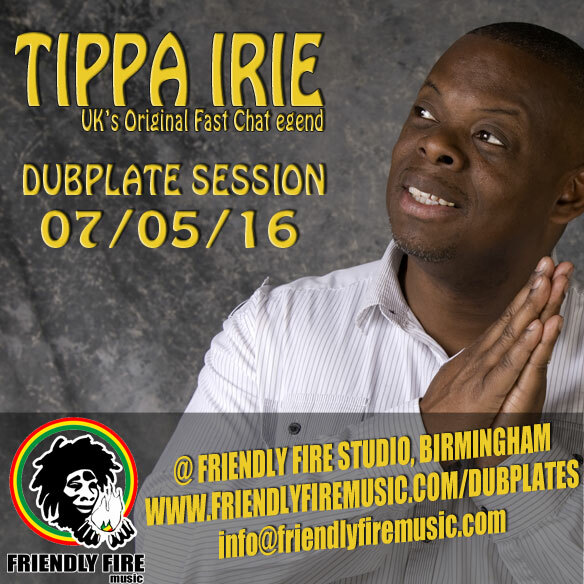 This month, we are very proud to offer such an amazing selection of artists, including the great TAPPA ZUKIE for dubplate sessions. 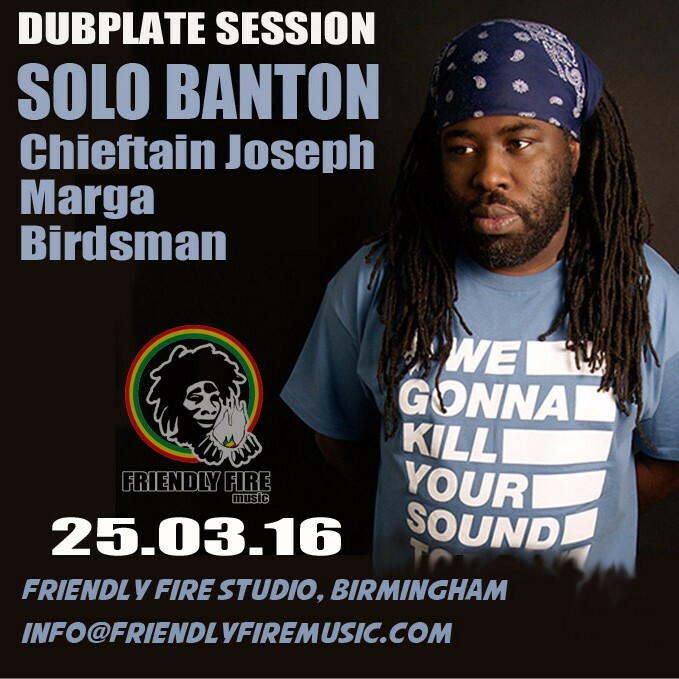 Classic Veterans are performing the same night at PST, Birmingham, so Solo Banton and the entire crew are making their obligatory Friendly Fire stop for dubs! People are you reaaaaaaaady? 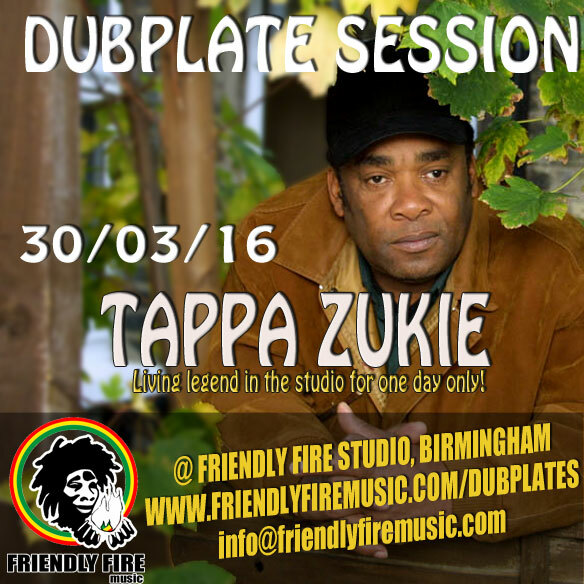 Legend Tappa Zukie is known as a producer and DJ with his label Stars – very happy to be able to offer this veteran artist at a reasonable price! 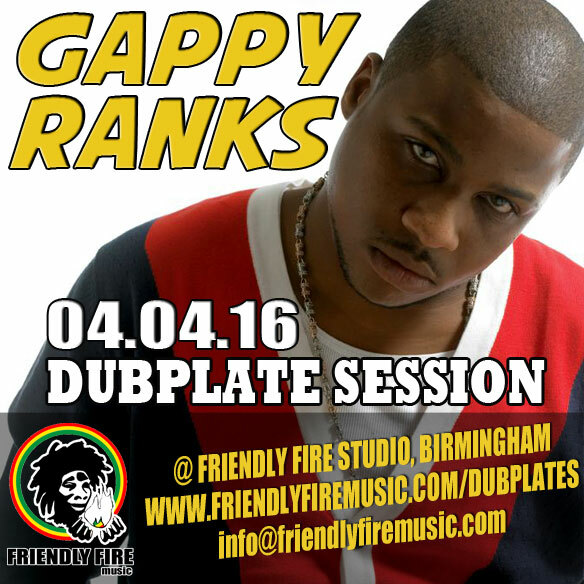 UK’s best reggae export and reggae dancehall sensation GAPPY RANKS , at a special Friendly Fire price for the occasion! 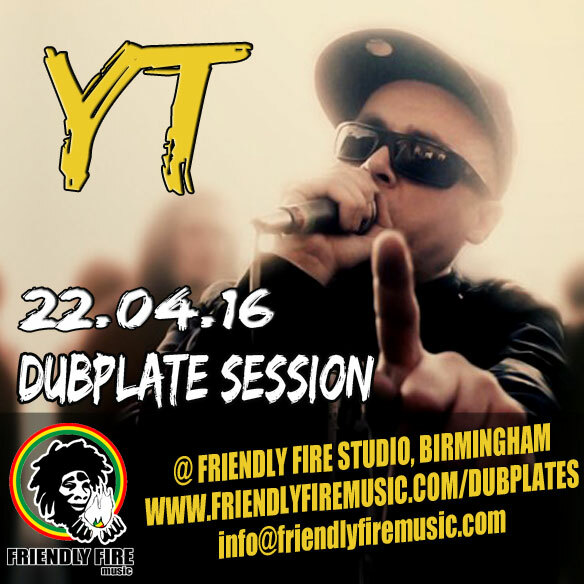 Lyrical activist YT has just released his album “Wata Down Ting” on Scotch Bonnet Records, and will be in the studio for dubs and jingles, with a bag a new tunes to voice. 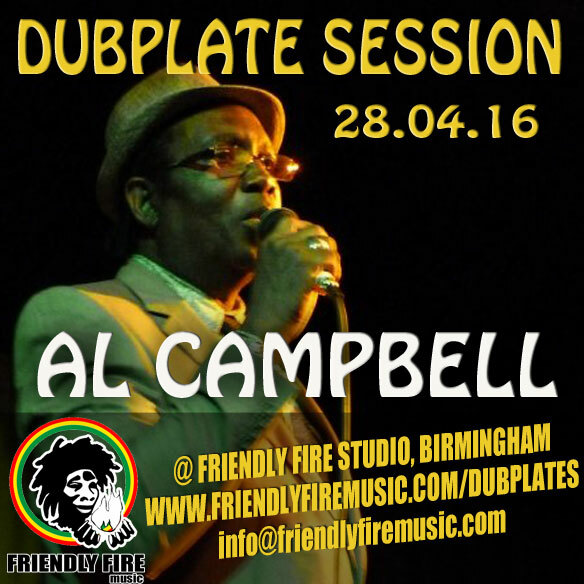 Veteran Al Campbell, the man with the voice that never changes, will be in the studio voicing dubs on the 28th – a must for every box! Original fast chatting Saxon Dj still touring the world with unmatchable energy and fastest lyrics!